My friends Onyxei and Helmut in other words Atelieri O.Haapala have done it again; a set of totally amazing photos shot at the Champagne Circus last month! 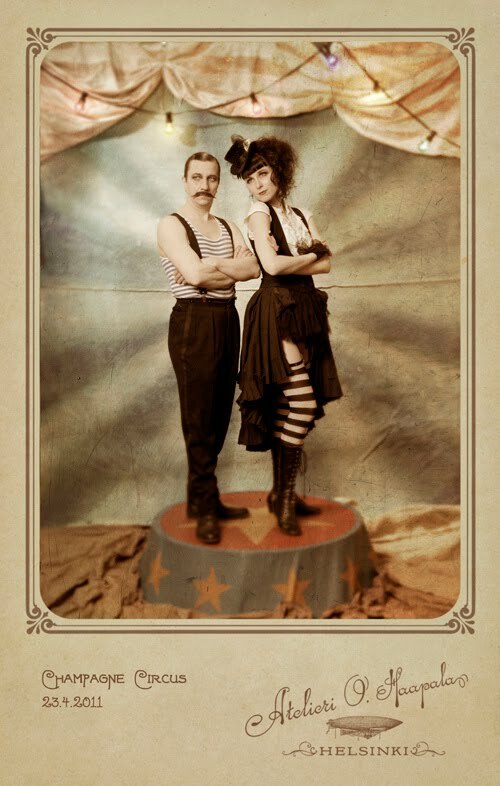 An event which I could not attend and thus did I not get myself a circus themed portrait. Which is a pity very very much indeed. Sigh. In the photo above you can see the photographers posing themselves. Fabulous ain't it? See the whole set on their Flickr. You can see some earlier works of the duo under my Atelieri-tag.